International fast food giant Burger King fell victim to online hacking organisation Anonymous on Monday. The self proclaimed ‘hacktivists’ say they take action against companies who they feel are unethical by attacking websites and social media accounts. 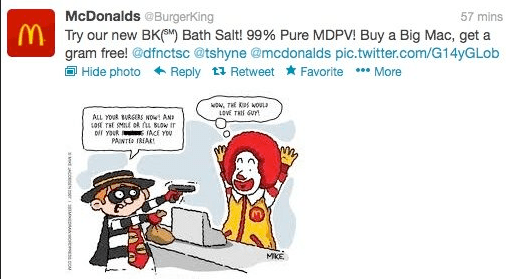 During the attack Anonymous hijacked Burger King’s Twitter page and re-branded it using the name and logo of Burger King’s arch-rival McDonalds. The profile was altered, claiming that Burger King had been sold to McDonalds. Then the hackers posted a series of false stories about Burger King, as well as Retweeting people who made jokes about the attack. Big problem right? 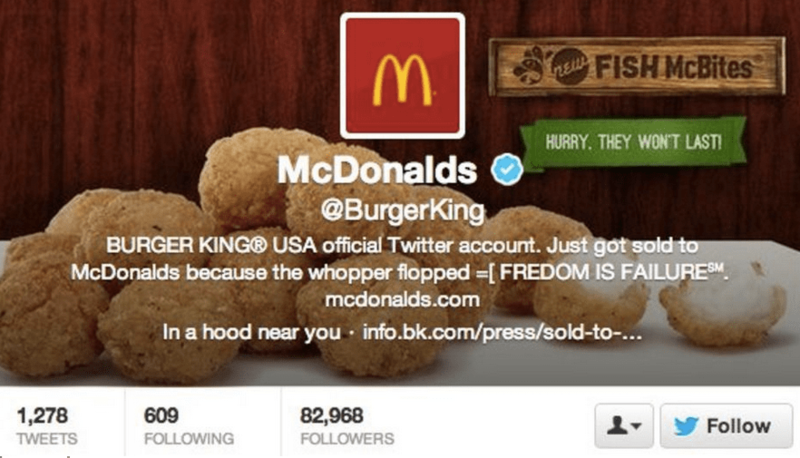 Major disaster for Burger King’s Twitter campaign? Not necessarily! The event saw their followers leap from 80,000 to 110,000 in one day. In an industry dominated by large corporations constantly vying for publicity, an increase of 30% in one day is a miracle. Especially when it’s free! Follower numbers continued to climb even after control was restored to Burger King, which is very interesting. By Tuesday the number of followers had risen to 112,000 and on Wednesday, the time of writing, the total had exceeded 113,000. The challenge for Burger King now is to try to maintain engagement with their new audience. That may present a challenge but also represents a huge opportunity and is certainly not impossible. It is sad to note a distinct lack of activity since control was restored. No doubt the brand is feeling bruised and cautious in the wake of the attack but it would be a shame not to make the best of it and capitalise on the sudden and dramatic increase in their audience size. This is not the first time Anonymous has taken over an organisation’s website. Previous victims include Westboro Baptist Church, American organisation The Tea Party and Sony. One question the group must be asking themselves is whether attacks like this do any good in terms of drawing people’s attention to their cause. In this case, ultimately, it looks like the winner was the target of their attack. We can be sure that for the next couple of weeks Burger King’s marketing department will be working hard to decide how best to bounce back after this breach of security. However, it’s fair to assume that the stores dotted around our high streets will be as busy as always. So no income lost offline, and now Burger King is able to talk to an extra 33,000 people who weren’t listening before. Social media professionals often say that the best way to gain customer loyalty is by addressing an issue quickly. Maybe this is an opportunity for the brand to be proactive and do just that. Certainly it is not a simple, straightforward embarrassment. The picture is much more complex than that. All of us here at Digivate are agreed that this is a fascinating social media case-study. We can see the importance of having a Plan B. Agree with you the target has been the winner but if they don’t move quickly they will actually miss a great chance to gain and maintain online customers (it reminds me how Oreo took advantage in the last Superbowls blackout).